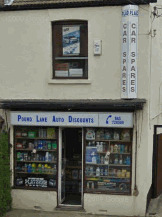 Looking For A Grays Car Spares Shop? 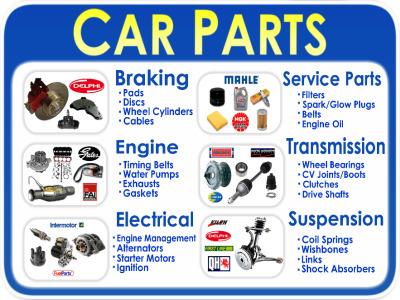 Searching for Grays Car spares, parts and accessories shops that you can trust can sometimes be a bit difficult. But that will no longer be the case now you have found us. The name of Pound Lane Auto Discounts might be unknown to you at the moment, but we are the number one car spares shop in Essex. Opening our doors, way back in 1981, we have been providing the whole of Essex, with the best range of car parts and spares around. But how have we done it? What do we do that sets us apart from the other motor factors in Grays and Essex? Well we believe that we have to consistently focus on three key areas. We want to offer the best choices, the lowest prices, and sling in the best customer service too. You see being in the motor trade for so many years, means we have a huge network of friends and colleagues that help us help you. Can I Buy More Parts Online From You Then? Yes, you can, and for the best prices too. All you need to do is click through to our amazing online store here, where over 150,000 parts are ready to be purchased. Just buy what you want, and then come in and collect them when you want. We will even give you a call to advise you that they are in. Well I suppose having a beer and getting someone else to do for it you...which you can do too! And that is why we have been dominating the car spares shops in Grays for so long, even though we still have people popping in to tell us. So we would be extremely grateful to be able to supply car parts and spares to you and your family, to keep your Grays motors running for another 30 years or so. No I'm afraid that we don't have the capability to offer this service. You see we are a family run business, so we need to focus all our energies on where they are needed most. Answering the phone, emails and of course dealing with our customers from Grays face to face. There is a link at the bottom of the image which will take you to Google Maps, so just enter your Grays postcode in the field for directions that you can print up. And that desire to take the unwanted effort out of your driving and motoring experiences is why the town of Grays, have the perfect car spares accessories shop right on their doorstep. Drive along the A13, until you arrive at a large roundabout known locally as the Sadlers Farm roundabout.